Well, our first ever International Coastal Clean-up event in Nicaragua turned out to be a big success! 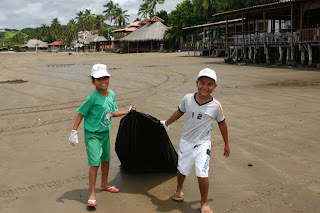 We had over 1000 people picking up garbage at over 25 beaches across Nicaragua. This is the happy face of a job well done!